There are 6 cat videos tagged with bb-8. 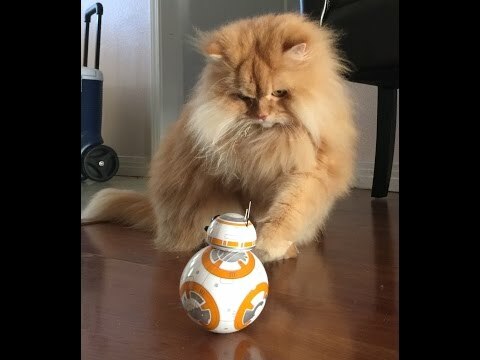 Luigi The Lion cat meets BB-8 for the first time and likes him. What a great new #StarWars toy. 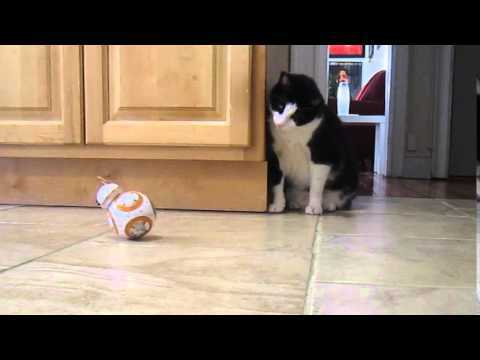 I introduced my cat to the Sphero BB8. Here are the results. 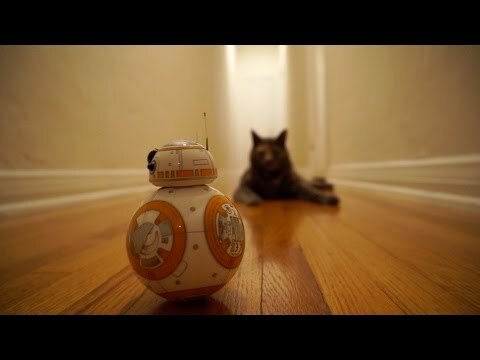 Sphero's BB-8 meets my CAT! I just got Spehro's BB-8 today and I love it. My cat Skeeter seems to be very interested and a little skittish about BB-8 but they will get along fine! * I forgot to have the sound on my phone on so that's why there is no BB-8 sound!